Lock in a great price for AM Amakal Hotel & Park – rated 8.4 by recent guests! Staff were very friendly and helpful. When we wanted some local information they did their best to help. It’s always nice to have smiles. The room was clean and spacious. There was purified water available in the reception area so we could refill our bottles. For me personally, the location worked well but I also had my own vehicle for transportation. Also I could easily walk into the Centro area of town from the hotel in just a few minutes. The reception area staff here are great, and friendly to deal with. All things considered I enjoyed my stay here and would recommend this hotel to others. Excelente personal, siempre atentos en cualquier pregunta o duda. Buena ubicación del hotel y para visitar varios sitios. Buen confort en la cama y almohadas. El lugar es súper central, esquinero. La atención es buena y nos adornaron la noche súper lindo por petición a luna de miel. Le check in fait un peu plus tôt que 15h. Merci. J'ai pu prendre une douche à la fin de mon tour avant de prendre mon bus dans la douche de la piscine. Merci Accueillant et sympathique réceptionniste. Pas loin du centre, ce qui est bien pour les soirées. Et à 15min à pied de la plage de santa Cruz.. Chambre confortable avec TV et câble. El servicio del personal sumamente amable, la limpieza en las instalaciones y blancos, agua caliente en todo momento, ubicación cerca del centro y a 20 min de la playa. Muy bien x los empleados, felicidades. AM Amakal Hotel & Park This rating is a reflection of how the property compares to the industry standard when it comes to price, facilities and services available. It's based on a self-evaluation by the property. Use this rating to help choose your stay! 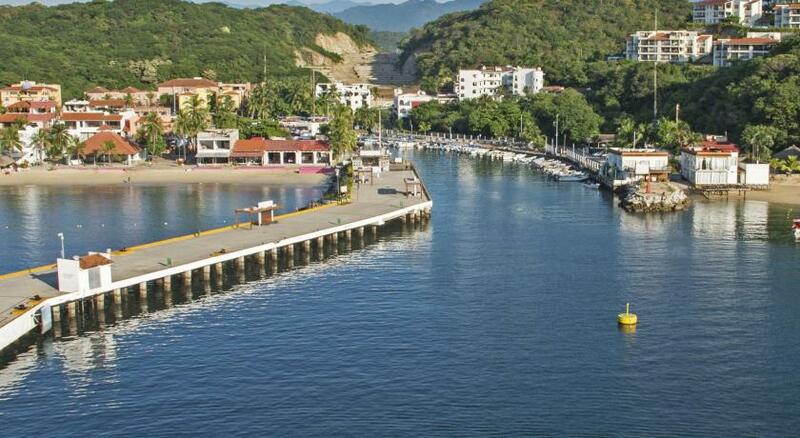 Located in Huatulco, this hotel features an outdoor pool and each room includes free Wi-Fi. It is within 5 minutes of local beaches and steps from Parque Rufino Tamayo. The rooms at Hotel Amakal Hualtulco Oaxaca are equipped with cable TV. Each room features a balcony. Guests can find tour information at the 24-hour front desk. When would you like to stay at AM Amakal Hotel & Park? This air-conditioned room features a balcony, cable TV and free Wi-Fi. House Rules AM Amakal Hotel & Park takes special requests – add in the next step! AM Amakal Hotel &amp; Park accepts these cards and reserves the right to temporarily hold an amount prior to arrival. AM Amakal Hotel & Park accepts these cards and reserves the right to temporarily hold an amount prior to arrival. Please be advised the pool will be closed for maintenance from January 9th, 2018 through the January 25th 2018. We couldn’t leave windows open as there was too much traffic noise. The air con was basic so we just had to switch it off when it got too cool and on when too warm. For whatever reason the maid seemed to never arrive at my room before later in the afternoon. However after talking to reception about this it was corrected and my room was cleaned in the mornings. The small pool was drained. Noisy location.